It’s officially spring – the clocks have changed, it’s getting warmer, and pretty soon we’ll be breaking out the flip flops! The new season is bringing with it plenty of new and returning UK TV shows to enjoy on these warmer evenings. Here are just a few to pick from… and all these shows can be watched from Spain using our IPTV service. Lovers of the adaptations of Agatha Christie mystery dramas like Poirot and Miss Marple will be pleased that this mini-series adaptation of the novel ‘Ordeal by Innocence’ will finally be hitting the screens in April. The BBC had to delay the expected Christmas release and order some reshoots, but it’s finally in the schedule. 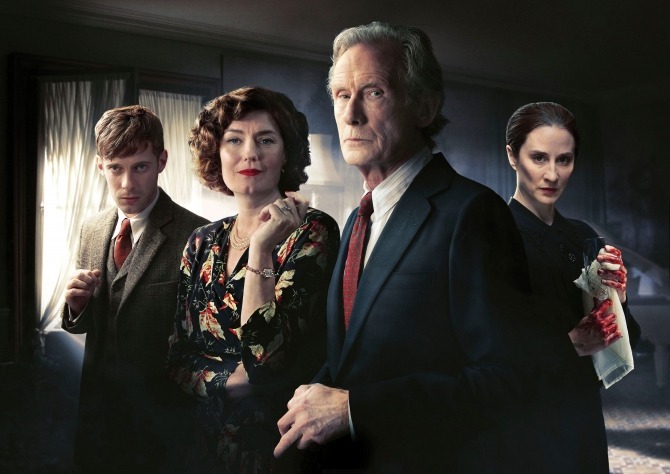 The cast is also incredible – Bill Nighy, Poldark’s Eleanor Tomlinson, Anna Chancellor and more. Set in the not-too-distant future, robots that serve humans but are identical in every way have been learning to think. Season 3 of this creepy sci-fi drama is definitely due to start in Spring 2018, but no date has been given yet. The third and final season of fan favourite Versailles in expected to hit BBC 2 in the spring. Set in the court of the Sun King Louis XIV of France, the drama follows his quest to build the famous palace of Versailles and all the intrigues that happen long the way. It really is a costume drama – the sets and costumes are incredible to look at. Go back to season 1 if you don’t want to miss the poisonings, witchcraft, affairs and mystery. Based on Margaret Atwood’s novel, the first season absolutely hoovered up awards and nominations, so it’s worth a watch. Be warned though – the mood is dark, violent and tense, so it’s definitely not for the faint-hearted! For more information about our IPTV services, get in touch – fill out the ‘Tell Me More’ form on this page, email sales@telitec.net, or call 965 74 34 73 / 902 88 90 70.